Chase Ink business cards can come with a variety of rewards and a range of APRs and fees. The best card for you is likely going to be determined by your personal and business situation, including the type of rewards you want. The criteria we used indicates which cards offer the best introductory and ongoing rewards, lowest interest rates, and who they’re best for. To qualify for the cards in this Chase Ink review, you’ll need an excellent personal credit score of 670 or higher. If your credit score is below 670 or a startup business, there are alternative options to the Chase Ink cards that you should consider. Once you have a Chase Ink card, it will show up on your business credit report as a business credit card and typically shouldn’t affect your personal credit score. After taking these business card qualifications into consideration, we recommend the Chase Ink Business Cash℠ card as the best overall Chase ink card that will be a good fit for most small businesses. It is the most versatile card that provides up to 5% cash back on select purchases. The Chase Ink Business Cash℠ is the best overall business credit card that’s currently available on the market, which has no annual fee and interest rates between 15.49% and 21.49%. It’s suitable for businesses that use credit cards to make basic office expense payments and have lower spending. You can also earn up to 5% cash back on basic office expenses you pay every day, which is the best ongoing rewards compared to the other to Chase Ink cards. We recommend paying off the balance on your card in full each month to avoid dealing with interest in the future. The Chase Ink Business Cash℠ carries an ongoing APR of 15.49% to 21.49%. However, with a card like the Chase Ink Business Cash℠ and the Chase Ink Business Unlimited℠ you can benefit from a 0% introductory APR period on purchases. For the first 12 months, you won’t have to pay interest on any of your outstanding balances compared to the APR for Chase Ink Preferred℠, which is between 18.24 and 23.24%. After the introductory period ends, the regular APR for the Chase Ink Cash℠ is between 15.49 and 21.49%. This APR can fluctuate based on market conditions, but there’s typically not too much variation from year to year. While APR impacts those who keep a balance on their credit card, annual fees, foreign transaction fees, and balance transfers affect all cardholders. Chase Ink Business Cash℠ and Chase Ink Business Unlimited℠ are pretty evenly matched up in this category. Compared to the Chase Ink Business Cash℠ and Chase Ink Business Unlimited℠, the Chase Ink Business Unlimited℠ doesn’t charge foreign transaction fees, but it does charge an annual fee of $95. The Chase Ink Business Cash℠ is an excellent option if you don’t think you’ll spend enough money to waive the Chase Ink Business Preferred℠ annual fee. If you’re looking to do a balance transfer, you may want to consider using a 0% APR business credit card. These cards offer long introductory no interest periods and generally have no transfer fees. Most business credit cards, including Chase Ink, offer introductory points or cash back rewards to business owners for opening an account. These bonuses can help you earn some extra cash to spend on travel or other business expenses. 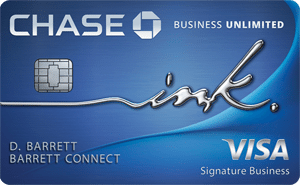 Both Chase Ink Business Cash℠ and Chase Ink Unlimited℠ offer introductory cash rewards compared to Chase Ink Business Preferred℠ introductory point rewards, which does not. You can earn an introductory bonus of $500 cash back when you spend $3,000 in the first three months with Chase Ink Business Cash℠ benefits. In addition to an introductory bonus, most business credit cards give you the opportunity to earn rewards points on a continuing basis. Chase Ink Business Cash℠ offers 5% cash back on the first $25,000 in office related purchases and 2% cash back for the first $25,000 on gas and restaurant related purchases. This ranks the highest among the best cash back business cards. Although the cash back percentages are similar to the Chase Ink Business Preferred℠, the Chase Ink Business Preferred℠ reward program is better for earning travel rewards. Chase Ink Unlimited℠, on the other hand, only offers up to 1.5% cash back regardless of the spending category. If you want to open a card with a good reward program, it’s worth identifying if you’ll use that card for office expenses or travel spending. If you have employees, you may want to issue a credit card to them to use for business purposes. All three Chase Ink cards offer free employee cards and expense management tools to keep track of charges that are made on the card. The Chase Ink cards come with an app called Ink that you can download through iTunes and Android. 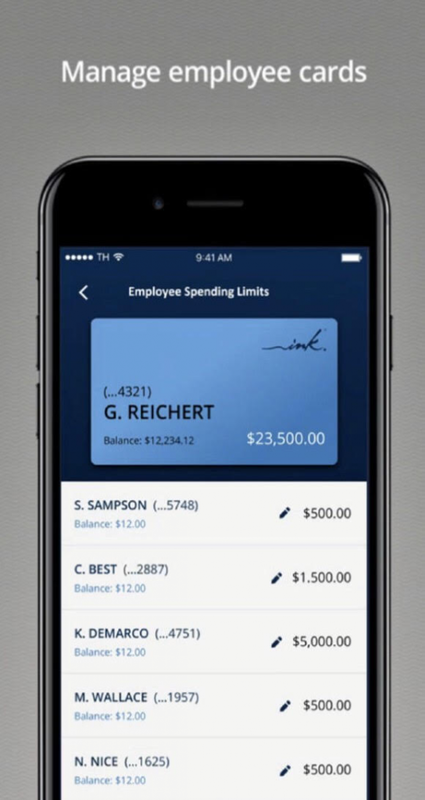 This app allows you to set employee spending limits and create alerts to be notified whenever an employee uses the card. You can also take photos of receipts, tag the receipts as belonging to particular categories, and export them to QuickBooks or other expense tracking software. With the Ink app, you can manage employee cards and track their expenses. This Chase card is missing substantial introductory rewards compared to the Chase Ink Business Preferred℠ and other small business credit cards on our credit card marketplace. You also don’t receive extra cash back for travel expenses. However, the Chase Ink Business Cash℠ card does provide some of the highest cash back rewards on our list. You can apply online with Chase by filling out a basic application containing both business and personal information, and you could be approved instantly. Once you’re approved, you’ll receive your card in the mail within seven to 10 days. The Chase Ink Business Preferred℠ credit card is an excellent fit for many businesses because of its competitive APR, low annual fee, and travel benefits. It carries interest rates between 18.24% and 23.24%, which is higher than both the Chase Ink Business Cash℠ and Chase Ink Business Unlimited℠. If you spend $5,000+ in your first three months of opening an account, you could earn 80,000 travel reward points. Compared to Ink Cash and Ink Unlimited, the Chase Ink Business Preferred℠ doesn’t have an introductory APR period. The Ink Preferred also has a maximum regular APR of 23.24%, which is about 2% higher than the other two cards in this Chase Ink review. When you open an Ink Preferred card, your APR will be between 18.24 and 23.24%. The one downside to this card compared to the others is the fact that there’s no introductory APR. If you plan on keeping a balance on your card in the first 12 months, consider applying for the Chase Ink Business Cash℠ or Chase Ink Business Unlimited℠ because of its 0% introductory APR periods they offer. The ongoing fees for the Chase Ink Business Preferred℠ line up a little differently compared to the Chase Ink Business Cash℠ and Chase Ink Business Unlimited℠. For example, Chase Ink Business Preferred℠ has an annual fee of $95 and has no foreign transaction fees. No foreign transaction fees indicate this can be a beneficial card for businesses that deal with foreign business travel often. 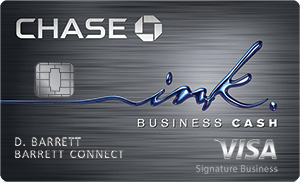 Similar to the other two cards, the Chase Ink Business Preferred℠ has a balance transfer fee of $5 or 5%. Balance transfers can help you consolidate any outstanding balances on your credit cards and transfer them to a low or no interest credit card to lower your monthly payments. If you want to do this, consider using a card with that offers an introductory APR and a lower ongoing APR. 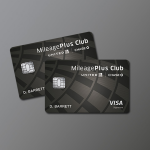 Similar to the other Chase credit cards, the Chase Ink Business Preferred℠ offers introductory rewards to business owners for opening an account. With the Chase Ink Business Preferred℠, you can earn 80,000 points if you spend $5,000 on your chase credit card within the first three months of opening your account. This ranks the highest among the best credit cards for travel. The main difference between this introductory reward and the others is that it’s given in points rather than dollars. These points are typically worth $800 if you redeem them for a gift card or a statement credit, but they are worth $1,000 or 25% more if you use them to book travel through Chase Ultimate Rewards. Chase Ultimate Rewards is a Priceline-like portal that can be used to book flights, hotel stays, and rental cars. In addition to the introductory bonus points, you can earn ongoing rewards for business-specific spending categories. Chase Ink Business Preferred℠ typically has a better rewards program for travel spending compared to the other two cards. Depending on your type of purchase, you can earn between one and three points per $1 spent. When you redeem points for travel through Chase’s Ultimate Rewards portal, the points are worth 25% more. Conversely, the Chase Ink Business Cash℠ and Chase Ink Business℠ unlimited rewards will show up as credits on your statement because they’re cash rewards. These types of ongoing rewards can save your business money over time, helping with your monthly business expenses. Just like the Chase Ink Business Cash℠ and Chase Ink Business Unlimited℠, the Chase Ink Business Preferred℠ also offers free employee cards for business purposes. Through Chase’s app, you can manage employee spending, track their expenses, and set alerts that notify you whenever an employee uses the card. It also gives you the option to take photos of receipts and export them to QuickBooks or other expense tracking software. Compared to the other two Chase cards on our list, the Chase Ink Business Preferred℠ is missing a $0 annual fee and no 0% introductory APR period. However, it’s still a great option for any business looking to earn ongoing travel rewards redeemable through points. 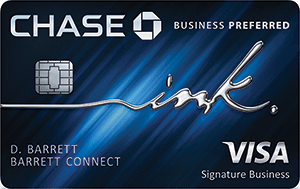 You can apply online to see if you qualify for the Chase Ink Business Preferred℠ card and get an answer within minutes. You may be required to verify some business information offline, depending on your situation, but once approved, you’ll typically receive it in seven to 10 days. The Chase Ink Business Unlimited℠ card is ideal for business owners who have excellent credit and want to earn unlimited flat cash back rewards on all purchases. The Chase Ink Business Unlimited℠ reward program doesn’t consider specific spending categories. Instead, you can earn 1.5% cash back on all purchases. 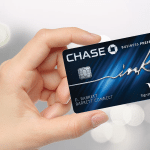 This Chase Ink card also offers a 12-month introductory 0% interest period on purchases, has a regular APR between 15.49% and 21.49% and no annual fee. Similar to the Chase Ink Business Cash℠, the Chase Ink Business Unlimited℠ offers the same introductory and ongoing APRs. The Ink Unlimited has a 0% introductory APR on purchases and a regular APR of 21.49%, which is roughly 2% lower than the Chase Ink Business Preferred℠. If you plan on keeping a balance on your card in the first 12 months, consider applying for the Chase Ink Business Unlimited℠ or Chase Ink Business Cash℠ over the Chase Ink Business Preferred℠ that has no introductory APR period. The fees for the Chase Ink Business Unlimited℠ match up with the Chase Ink Business Cash℠. However, it ranks much better compared to the Chase Ink Business Preferred℠ annual fee. This card has no annual fee, a foreign transaction fee of 3%, and a balance transfer fee of $5 or 5%. Balance transfers can help you consolidate your debt from other business credit cards and transfer them to a low or no interest credit card. This can help you reduce your monthly payments, but is generally only beneficial if you transfer the balance to a card that offers an introductory APR and a lower ongoing APR. The introductory bonus that you can expect with Chase Ink Business Unlimited℠ is the same amount you can earn if you use the Chase Ink Business Cash℠ card. If you spend $3,000 in the first three months, you will earn $500 in cash back rewards. However, compared to the Chase Ink Business Preferred℠, the rewards are in cash form rather than points. The ongoing rewards program is a bit different than the other two cards in this Chase Ink review. With the Chase Ink Business Unlimited℠, you can earn unlimited 1.5% cash back on all purchases. Conversely, the rewards you earn with the Chase Ink Business Preferred℠ and Chase Ink Business Cash℠ are specific to spending categories like office supplies, restaurants, and gas stations. Similar to the Chase Ink Business Preferred℠ and Chase Ink Business Cash℠, the Chase Ink Business Unlimited℠ has the same access to employee card and expense tracking programs. You can download these account management tools through iTunes and Android. The Chase Ink Business Unlimited℠ is missing substantial introductory and ongoing rewards. You are limited to 1.5% cash back on all of your purchases, which doesn’t allow you to maximize your cash rewards. You can apply for the Chase Ink Business Unlimited℠ business card directly through Chase’s website. Once you apply, you can get an approval decision in just a few minutes. You should receive your card within seven to ten days. To find the best small business credit cards, we recommend using different credit card guides to help you make your decision. You can also search and compare several small business credit cards through our credit card marketplace. The Chase Ink Casd℠, Chase Ink Preferred℠, and Chase Ink Business Unlimited℠ are excellent business credit cards, but we think the Chase Ink Business Cash℠ has a leg up over Chase Ink Business Preferred and Chase Ink Business Unlimited ― at least for businesses that spend at least $10,000 a year on their card. 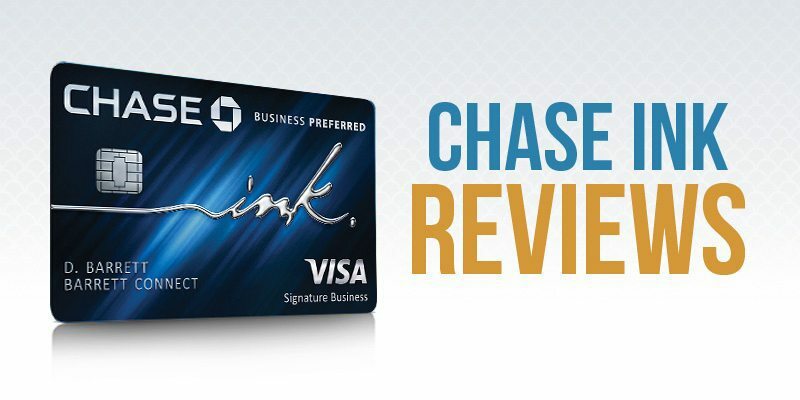 Chase Ink Business Preferred℠ offers the highest introductory points bonus of all the business credit cards we’re reviewing when you spend $5,000 in the first three months but has an annual fee of $95. Both Chase Ink Business Cash℠ and Chase Ink Business Unlimited℠ have no annual fee, and you get 0% APR for the first 12 months on purchases.